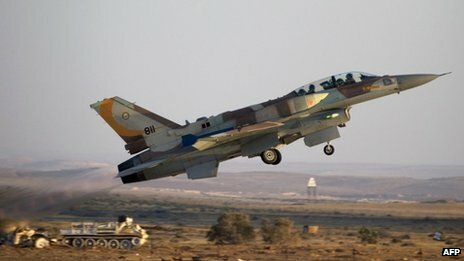 HOW ISRAEL MIGHT STRIKE AT IRAN. An Israeli attack would have to cope with a variety of problems. For all the myriad challenges facing Israel over the past decade it is the potential threat from a nuclear-armed Iran that has preoccupied the country's military planners. It is this that in large part has guided the development of the Israeli Air Force (IAF) over recent years. The IAF has purchased 125 advanced F-15I and F-16I warplanes, equipped with Israeli avionics and additional fuel tanks - tailor-made for long-range strike missions. In addition, Israel has bought specialised bunker-busting munitions; developed large, long-endurance, unmanned aircraft; and much of its training has focused on long-range missions. Israel has a track-record of pre-emptive strikes against nuclear targets in the region. In June 1981, Israeli jets bombed the Osirak reactor near the Iraqi capital, Baghdad. 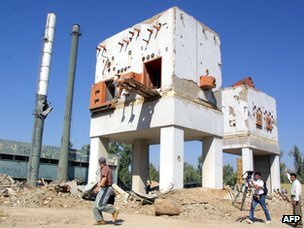 More recently, in September 2007, Israeli warplanes attacked a facility in Syria that Israel, the US and many experts believed was a nuclear reactor under construction. However, a potential strike against Iran would be nothing like the attacks in Iraq and Syria. These were both against single targets, located above ground, and came literally out of the blue. Many of these problems are daunting in themselves, but when put together, they only compound the difficulties facing Israeli military planners.How to get there? For a start it is a very long way from Israel to Iran. As a rough estimate many of the potential targets are some 1,500km (930 miles) to 1,800km (1,120 miles) from Israeli bases. Israeli warplanes have to get to Iran and, equally important, get back. At least three routes are possible. What we do know, given the range, is that Israeli aircraft will have to be topped up with fuel en route. 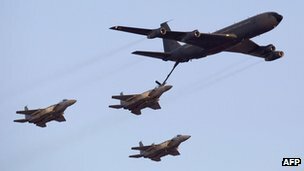 Douglas Barrie, senior fellow for military aerospace at the International Institute for Strategic Studies (IISS) in London, says that "air-to-air refuelling will be critical". "Israeli aircraft," he says, "need not just to get in and out of Iranian air space; they need to have enough fuel to provide time over their targets and they need sufficient fuel to cover any contingencies that might arise during the mission." The initial tanking, Mr Barrie says, might be done over the Mediterranean or even in Israeli airspace. "One option," he notes, "would be to take off with a full bomb load and drop tanks containing additional fuel; to climb to cruising altitude and then at this point to replenish their tanks, before setting course for their targets in Iran." Israel is believed to have between eight and 10 large tankers based on the commercial Boeing 707 airframe, but experts believe that tanking capacity will prove one of the limiting factors in the scope of any operation.What targets to hit? The problems of range, the nature of some of the targets, and the availability of tanker aircraft will determine the nature and scope of any Israeli operation. Douglas Barrie, of the IISS, says that "Israeli planners will be looking for where they can do most damage with the limited number of platforms at their disposal". "They'll be asking where the main choke points are in the Iranian programme. Clearly, striking enrichment facilities makes a lot of sense from a military point of view," he adds. 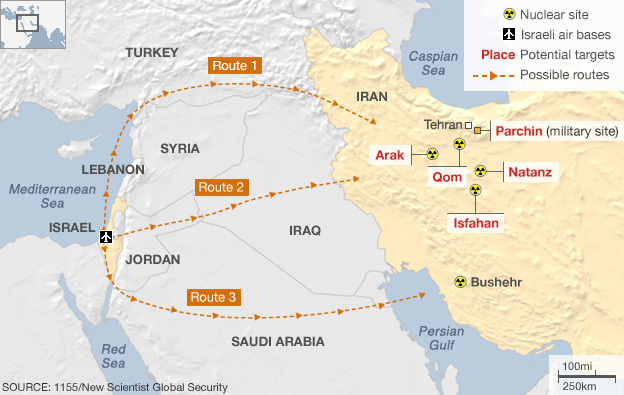 So the uranium enrichment facilities at Natanz, south of Tehran, and Fordo, near the holy city of Qom, would almost certainly be prominent on the target list. 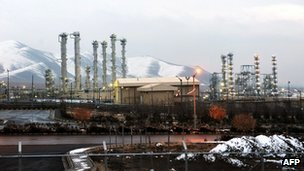 The heavy-water production plant and heavy-water reactor under construction at Arak, in the west, might also figure, as would the uranium conversion facility at Isfahan. It is unclear whether Israel would have the capacity to strike a range of other targets associated with Iran's missile programmes and explosives testing. But this target list raises another set of problems. The enrichment facilities at Natanz are underground and the new plant at Fordo is buried deeply into the side of a mountain.Can Israel destroy buried targets? For an attack like this, says Douglas Barrie, you need good intelligence information. "You need to know", he says, "about the geography of the target site; its geology; the nature of the earth; and the details of the design and construction of any buried reinforced concrete chambers." "You can assume," he asserts, "that the Americans and the Israelis have been watching these sites closely over time." To reach buried targets you need special kinds of munitions. Deeply-buried facilities are not exclusive to the Middle East. There is a kind of race between the diggers and the weapons designers and it is one where the Americans have considerable experience. The main weapon in Israel's arsenal is the US-supplied GBU-28. This is a 5,000lb (2,268kg) laser-guided weapon with a special penetrating warhead. For an assessment of its capabilities I turned to Robert Hewson, the editor of IHS Jane's Air-Launched Weapons. "The GBU-28," he told me, "is the largest penetrating weapon available for a tactical aircraft and, since it was first used by the US in 1991, it has been improved with better warheads and more accurate guidance. "However, Israel's use of this weapon would be hindered by several key operational factors. Realistically, the F-15I - the only delivery platform - can carry only one bomb, so a sizeable attack force would be required - demanding tanker and other support assets that Israel does not have in large numbers. "The target would have to be attacked from relatively close range, meaning any attacking force will have to fight its way in and out of heavily-contested airspace." Furthermore, he says that "very accurate targeting data is required to use a weapon like GBU-28 to best effect". "The potential for success of a GBU-28 attack is not determined by the 'book' performance of the weapon alone." 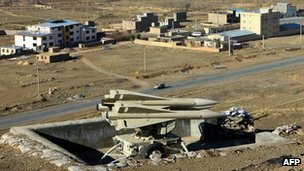 Of course, the great unknown question is how capable these weapons would be against buried Iranian enrichment facilities at Natanz and Fordo. Mr Hewson says that the GBU-28 is "effective against any hardened or deeply buried target - up to a point". "For a weapon like the GBU-28, velocity and angle of impact determine the penetrating effect, so the ideal drop is made from high altitude at maximum speed and hits the target at a near vertical angle," he explains. "This is less easy to do against a cave or mountainside, so the weapon will be less effective - but still more effective than pretty much any other available munitions." Indeed, as Douglas Barrie notes, one weapon might be insufficient. "You could", he says, "attempt to 'dig your way in' using several weapons on the same impact area to try to get through the soil, rock and concrete. Or you could try to block access to the facility by destroying tunnel entrances. "In addition," he says, "all of these facilities are power hungry, so you could attempt to destroy power supplies and any buried cabling. "The aim would be to present the Iranians with a compound problem of blocked entrances, no power and collapsed underground chambers. "Does Israel have other military options? So far we have discussed only the known elements of Israel's capabilities, mainly US-supplied aircraft and munitions. But Israel has a hugely advanced aerospace and electronics industry of its own and this may well have produced systems relevant for an attack against Iran. Douglas Barrie says that there is much about Israel's capabilities, especially its home-grown technology, that we do not know. 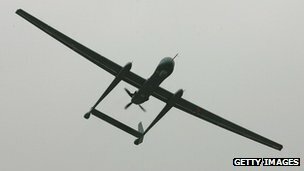 "Israel's long-range Heron or Eitan drone could be used to gather an assessment of the damage done by any strikes, but perhaps could also be put to use helping to spoof air defences," he adds. "Indeed, this kind of deception or cyber-operation will likely be an integral part of the mission with the aim of blinding radars or generating a false picture of what was going on. "What about Iran's air defences? Iran's air defences are largely Russian-supplied systems familiar to Israeli pilots, though Iran also deploys the US-built Hawk system dating back to the days of the Shah. Some of its most capable defences are Russian SA-5 missiles intended to target high-altitude threats, while it also deploys the mobile Tor-M1/SA-15 Gauntlet system optimised to engage targets at lower level. Russia has consistently refused to supply Iran with the much more capable S-300 long-range system, though the Iranians claim to have procured some batteries elsewhere. Iran's surface-to-air missile force may be old but still represents a threat. Look at how much effort Nato and the US put into taking down Libya's similar vintage air defences last year. Israel will not have the time or the resources to embark upon this kind of protracted air campaign and thus the electronic element of any strike to suppress Iranian defences is likely to be as important as the actual dropping of weapons. 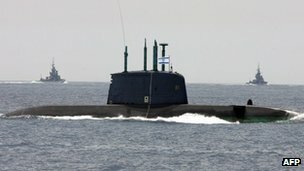 Israel's small submarine force could potentially play a role here too. Douglas Barrie says that "there must be a reasonable assumption that Israel has an operational sea-launched cruise missile capability based upon their German-built Dolphin submarines". "These could be used to go after older but capable SA-5 air defence sites and big search and surveillance radars." But, he notes: "Adding a naval dimension complicates the co-ordination of any attack." Iran's air force is seen by experts as being totally outclassed by its Israeli counterpart. It has a small number of US-built F-14 Tomcat fighters and a significant number of relatively more modern Russian-supplied MiG-29s. But the potential threat from Iranian aircraft again complicates Israeli planning and any air-to-air combat might place additional strains on the limited fuel supplies carried by the attacking aircraft.Would an Israeli strike succeed? Most experts agree that Israel could hit multiple targets in Iran and do considerable damage to its nuclear programme. They would, however, do much less damage than a full-scale US attack using all of the resources at Washington's disposal. The Israelis would be operating at the very limits of their capabilities. "If they pulled it off," says Douglas Barrie, "it would be an impressive display of power projection against a difficult and dispersed set of targets." Only a small number of air forces in the world, he notes, could mount such an operation. But, Mr Barrie stresses: "Even if successful, it would only delay Iran's nuclear programme." It is a point echoed by IHS Jane's Robert Hewson. "Israel does not have the mass of forces and will not be given the operational freedom [by Iran] required to destroy Iran's nuclear complex," he says. "If you bury enough stuff deep enough, enough of it will survive. Any Israeli attack can only damage and possibly not even slow the Iranian effort. "The consequences of such an attack would be dire and global. It is impossible to see any up-side to this venture." That's a view shared for now by Israel's most important ally. Only a few days ago, the Chairman of the US Joint Chiefs of staff, Gen Martin Dempsey, said that an Israeli attack would not be prudent. Such a strike, he said, "would be destabilising and would not achieve their long-term objectives". However Israel's calculus is very different. Knowing all their operational limitations, might they launch such an operation anyway? THE NINJA WOMEN IN IRAN, BEAUTIFUL BUT DEADLY.